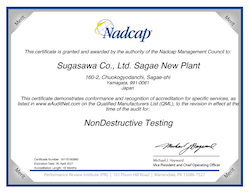 Sugasawa Group uses cutting edge technology to manufacture zero defect products to meet the customer's needs giving the customer the vital step to lead the market. Sugasawa Group is a manufacturing company specializing in precision machined parts for diesel engines, hydraulic components and aircraft equipment. 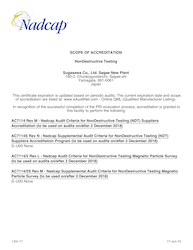 Sugasawa Group consists of two divisions, Sugasawa Seiki Co.,Ltd.,and Sugasawa Co.,Ltd. all completely integrated with each having a strategic specialization. Since its establishment in 1939, Sugasawa Group has been investing its time and resources for the development of new technology in the precision machined parts market. 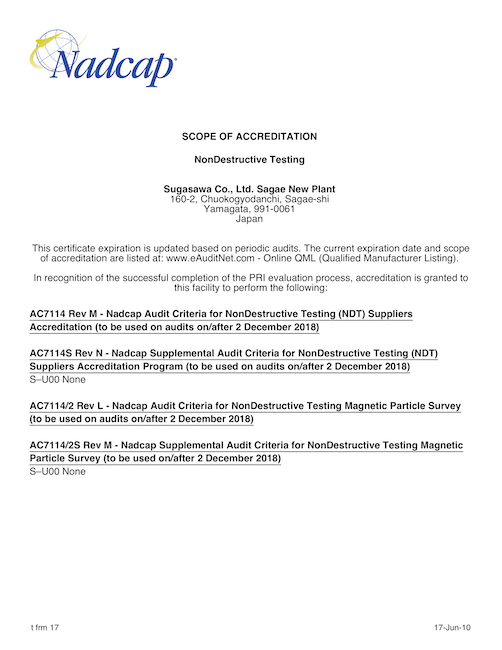 Sugasawa Group obtained JIS Q 9100 (AS9100 EN9100) certified in August 2011, and Nadcap (NDT:MT) certified in August 2017. As a "6 SIGMA" company, Sugasawa Group will not only work for the customer, rather along side them to develop a product design that best fit's the customers needs. This method is effective for the most important goal, constant improvement of the cost reduction proposal. 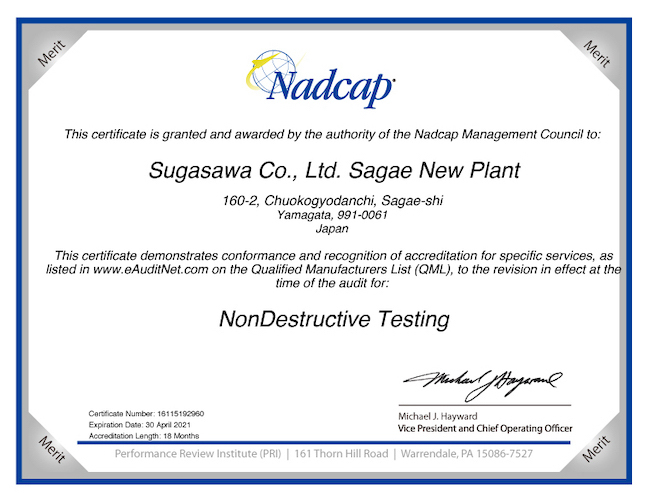 At Sugasawa Group, the job is not complete until the customer is satisfied.